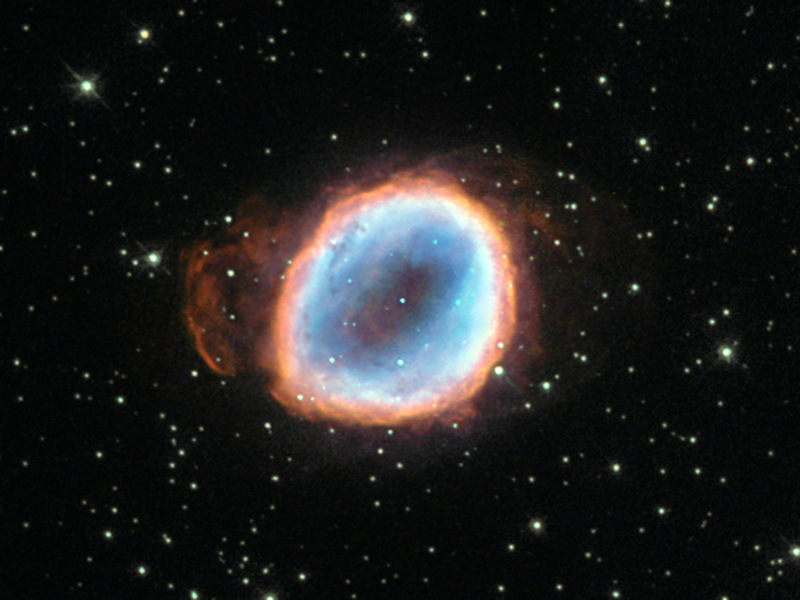 Planetary nebula NGC 6565 lies 15,000 light-years away in the constellation Sagittarius. 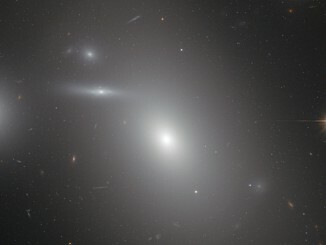 Image credit: ESA/Hubble & NASA. Acknowledgement: M. Novak. The star’s agony has culminated in a wonderful planetary nebula known as NGC 6565, a cloud of gas that was ejected from the star after strong stellar winds pushed the star’s outer layers away into space. 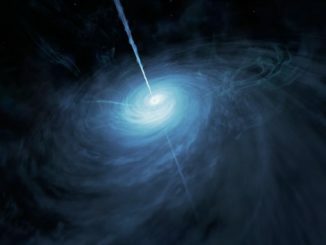 Once enough material was ejected, the star’s luminous core was exposed and it began to produce ultraviolet radiation, exciting the surrounding gas to varying degrees and causing it to radiate in an attractive array of colours. These same colours can be seen in the famous and impressive Ring Nebula (Messier 57), a prominent example of a nebula like this one. Planetary nebulae are illuminated for around 10,000 years before the central star begins to cool and shrink to become a white dwarf. When this happens, the star’s light drastically diminishes and ceases to excite the surrounding gas, so the nebula fades from view. This new Hubble image shows Messier 96 (M96 or NGC 3368), a spiral galaxy in the constellation Leo that lies about 35 million light-years away. 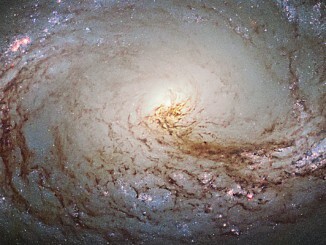 About the same mass and size as the Milky Way, M96 resembles a giant maelstrom of glowing gas, rippled with dark dust along asymmetric arms that swirl inwards towards the nucleus.